My name is Ana Lilia Galván Tovías. 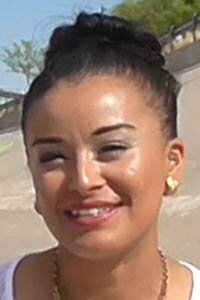 I am a psychologist, currently studying for my master’s degree in social work. My academic focus is on the ‘niños circuito’, or circuit children, who are part of the population of migrants that reside here in Juarez, and that are involved in the constant crossings between Juarez and El Paso. My name is Fernando Loera, and I am a social worker. We’ve have been working with the circuit children through intervention and prevention practices, and we would like to talk to you about this population and our work. My name is Carlos Zavala, and I am a social worker. I have been working with the circuit children for the last two and a half years, focusing particularly on developing and planning intervention projects in specific cases. Gabriella Sanchez (oD): Who are the circuit children? 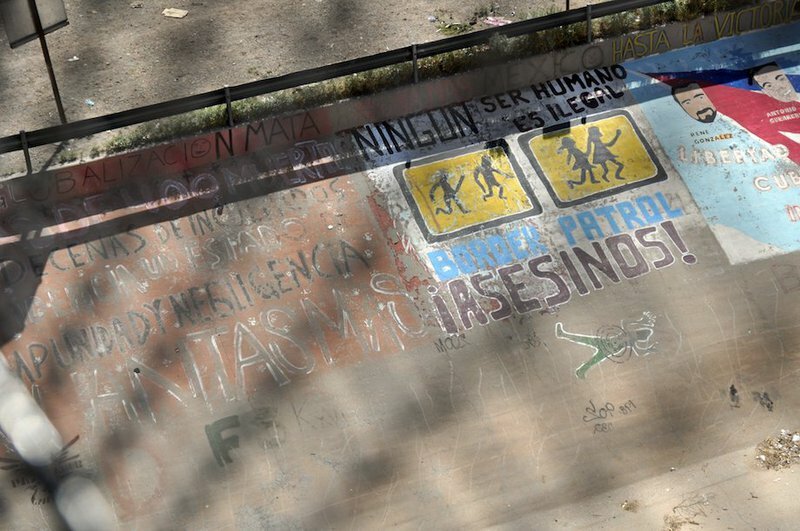 Fernando: The minors who we refer to as circuit children are boys, girls and teenagers that live in the city and that are immersed in the market for illegal or criminalised cross-border transactions to the United States. These children are constantly crossing the border, particularly to engage in migrant smuggling. The children cross over to the United States and are deported back to Mexico after being detained by the US Border Patrol; the deportation process allows them to return to their families and once again be available to participate in border crossings. This practice of going from Mexico to the United States and back again is what defines them as ‘circuit children’. They are going through this process constantly. Gabriella (oD): What are some of the key characteristics of these minors? Carlos: These kids tend to be between 11 and 17 years old. The live in neighbourhoods that are immediately adjacent to the border. 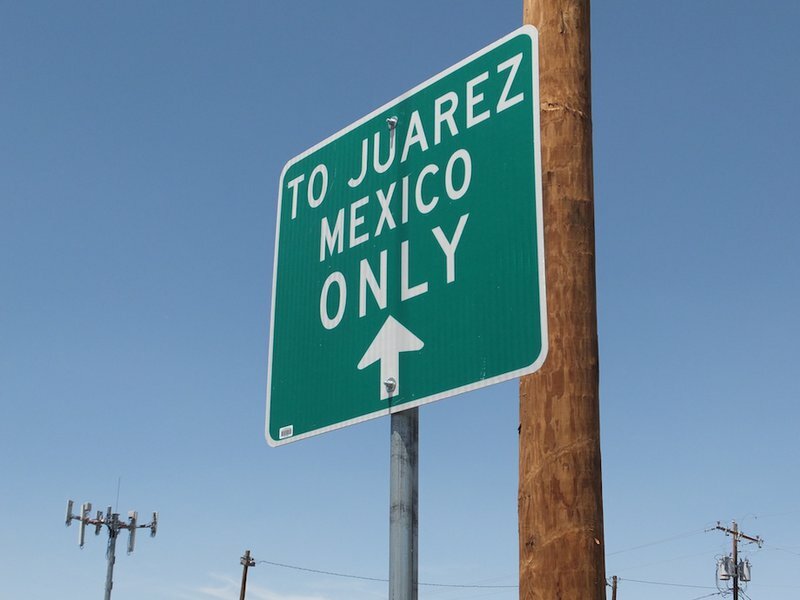 Here in Juarez we have two areas where circuit children are actively recruited and sent to work: one is in the northwest part of the city, where we principally see human smuggling; another is located in the city’s northeast zone, and is characterised primarily by drug trafficking. Among other characteristics, we’ve identified that circuit children tend to consume drugs, do not attend school in the majority of cases, and are part of fractured or reconstructed families in which authority figures are practically absent from the home. Fernando: One characteristic they tend to exhibit is that they have experienced a lack of supervision throughout their formative years. The lack of parental care leaves them vulnerable. In many cases the parents do not choose to leave their children unsupervised, but are forced to leave them alone to take on long work shifts due to the economic conditions they face. The fact that these kids are left alone in their homes leads to them spending much more time in the streets, where they can build relationships with people tied to the business of border crossings. In many cases the parents do not choose to leave their children unsupervised, but are forced to leave them alone to take on long work shifts due to the economic conditions they face. Gabriella (oD): We often hear about the role of the parents in vulnerable populations, and they are often held directly responsible for the behaviour of their children. I agree that it is important to take the economic and structural context into account. Fernando: The context is definitely very relevant, and it is very important to understand the conditions in which the parents are working. Our fieldwork has allowed us to know these conditions, and through it we’ve been able to develop ties in the community. We know how they live, who they spend their time with, what their community networks are, what their chances of accessing social security are. All this information allows us to determine their level of vulnerability within the marginal urban context in which they live. These are sectors that lie beyond the urban fabric, with an absence of public services such as education and health, which are necessary for everyone’s development. This situation leaves children vulnerable. How can minors get an education if there is no school close to where they live? At some point, if these basic social needs aren’t met, the children begin to consider crossing the border into the United States in order to work and have an income. Carlos: On the topic of an income, there are families in these neighbourhoods with upwards of seven or eight members. There are single-parent families, in which only one mother or father takes on full financial responsibility for the family’s costs. Some have to work in the maquiladoras, which have eight-hour shifts with the possibility of overtime work. In such situations, older siblings have to take on an authority role within the home. Many people may blame the situation on a lack of parental responsibility, but the parents may be absent because of their work since they are the principal source of income in the family. Ana: Also, children’s participation in the business of irregular border crossings may be facilitated by their friends. Precisely because of the lack of parental oversight, a child’s friends may consider him or her to be a perfect partner. They tell the child nothing will happen to them if they facilitate a border crossing, since they are underage. Additionally, it will be economically beneficial. Sometimes these minors already know what the border crossings are like and understand what they are being asked to do, so they willingly participate and know they will make money. Many times they seek out the money for their own benefit, or to contribute to their family’s finances, and so they willingly join the border crossing business. Gabriella (oD): Is the fact that they are teenagers relevant to their situation? Perhaps there are few interesting ways for them to spend their time in their communities, and they are seeking new and adventurous activities, or simply staving off boredom. Doe that have anything to do with it? Ana: From a psychological perspective, this does have a lot to do with the stage of development in which the circuit children find themselves. It has a lot to do with social pressures and the influence that friend groups can have to get kids to acquiesce to these practices. So yes, it is relevant, just as all the other contexts that my colleagues have already discussed. Fernando: Children’s participation in these practices of human smuggling can occur in different ways. What we have mostly seen is that it happens through the creation of networks. The kids that live in these communities may meet other people that are also part of their community and that have already taken people across the border, and they may suddenly be invited to participate in something that can provide great economic benefits. They are offered an amount of money that greatly surpasses their family’s weekly income. The economic benefit is what draws most people to this work. I would say that it is a kind of seduction, because they are sold this idea of what they could achieve. They are offered an amount of money that greatly surpasses their family’s weekly income. We’re talking about the amount of money that a person makes from going to work every day of the week. The amount of money the child can earn in one border crossing is greater than that. So it has to do with the people in their community, the economic benefits such work might bring, and what the child could do with such an amount of money, either for his community or his family. That’s one of the ways they get involved. The other one has to do with forced labour. This involves children or teenagers that leave their homes to go to school and are stopped along the way by people that intimidate and threaten them into taking on a border crossing. There is also a third way they may get involved: they may already know someone in the border crossing business, and they actively seek them out in order to join them. These are the three forms of participation that we have identified: through an invitation from acquaintances, through a situation of forced labour, or by seeking out the work out of their own initiative. Gabriella (oD): Is there any difference between the participation of boys and girls, in terms of gender? Can you distinguish any gender-based practices among circuit children? Fernando: In terms of the practice of human smuggling, most of the people we’ve worked with are men. But there are processes that happen prior to the crossings in which there is more female participation. Girls are more involved in contacting migrants, as well as attending to their needs before they cross. This happens while the migrants are under custody or care of the people that will be responsible for taking them across the border. Carlos: There really isn’t a difference between the boys and girls that serve as border crossing guides. Perhaps due to a sense of group identity, the girls adopt many of the same habits as the boys, such as their ways of speaking and their habit of getting tattoos. Gabriella (oD): What can you tell us about the kinds of contact these children have with state agencies? How are they treated by American and Mexican authorities? 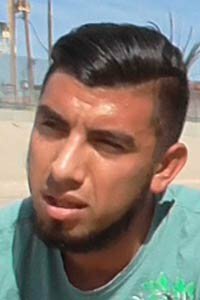 Fernando: What we’ve learned about the process, once the kids cross the border illegally and are apprehended by the US Border Patrol, is that detentions commonly involve abuse of authority and excessive force, both physically and psychologically. The kids have told us about being intimidated, threatened and beaten by the authorities when they are detained. This leads us to believe that members of the Border Patrol see these children as criminals and wish to intimidate them so that they stop engaging in border crossings. The kids say that they face very uncomfortable conditions once they are taken to detention centres, such as very cold and dark detention cells. Additionally, they say they’re constantly abused during the interrogation process. Since it is not required for them to have a formal interview, they usually go through an interrogation with three or four officers who often scream at them and mistreat them. That part makes them feel terrible. After they are returned to Mexican jurisdiction, the National Institute of Migration is in charge of receiving them. I believe that part of the process may be somewhat different in terms of the attention the children receive. The kids tell us that Mexican officials are not as rough or strict as the American ones. When they arrive back in Mexico and are placed under the care of the authorities, the kids feel more confident and calm. They know that Mexican authorities don’t want to prosecute them for their actions, but rather find a way to send them back to their place of origin; in this case, back to their families in Juarez. Some of these children are taken to shelters, where they receive full attention prior to being returned to their families. Gabriella (oD): What are some recommendations that you would give to improve the treatment of these minors? Fernando: We definitely have to talk about policies that could guarantee the wellbeing of these kids. It’s important that throughout the detention and repatriation process there is a full understanding of the conditions that these children face, and that lead them to become part of this problem. I refer to it as a problem because they are putting themselves at risk when the engage in these practices. Their lives are at risk when they cross the river, when they cross the desert, when they cross the border fences. Their lives are at risk when they cross the river, when they cross the desert, when they cross the border fences. That reality is not fully known or taken into account. The American authorities need to know more about the socioeconomic and family conditions on the Mexican side, in order to understand that there is an opportunity to improve the wellbeing of these kids. It should be the same for Mexican authorities; they don’t have a full understanding of how this problem developed. I think that there should be conditions in place that could guarantee the wellbeing of these minors throughout the process, but above all the authorities should follow up with them afterwards. The fact that these children are crossing over and over again has to do with the lack of upkeep and policies for care. If policies that attended to the needs of these children were in place, we are sure that their participation rate in border crossings would be greatly reduced, as they would have greater options for development within their community. In the long run, this would allow children to not participate in this kind of work at all. It would help if there were schools and parks in these communities, if there were activities that would allow them to fruitfully make use of their free time. And we can’t forget the issue of safety, because the places where these children currently live are dangerous. I believe these are important factors, which at some point need to be addressed through inclusive public policies. Gabriella (oD): What stances and actions have non-profit organisations taken towards the situation of these minors? Fernando: I think the work the organisations do is more focused on migration in general. In order to address the circuit children, we need to distinguish between the larger problems of migration and the peculiarities and characteristics of this particular case. I think there are only one or two organisations that understand the problems of circuit children and that recognise the necessity of working to protect their rights. DHIA (Derechos Humanos Integrales en Acción) could be one of them, since they are working to develop protocols and expand their impact in protecting the rights of minors. But there is very little interest from most organisations on this issue, and I don’t think it is their fault but rather that there is very little information. The problem has not been made clear. The authorities know that a large percentage of the underage population is participating in border crossings, but they don’t have the knowledge needed to develop policies that can attend to these kids. Organisations could come to play a very important role. Since the amount of people involved in this issue is so large, the state and local governments may be unable to handle the problem on their own. I believe that including organisations in this work could be very important. Carlos: Additionally, we could partner up with organisations that are already working in the communities where these children live. We could use their networks and knowledge, collaborate with their leaders, and learn from their strategies in order to more thoroughly address the situation. oD: What comes next, and what should we focus on? What is your vision for the future, both in terms of prevention and investigation? Ana: One of the largest challenges is to raise awareness of the situation. Because we are on the border, many people that come here from elsewhere are not aware of the problem. They think that only adults facilitate the border crossings, and don’t know that minors perform much of the work. Once we work on awareness, we can generate knowledge of the situation through investigations and further expand our work in the community. Carlos: Though I understand the importance of visibility, as Ana said, I would reiterate the need for interventions. For me, the ideal situation would be a binational collaboration along the entire border, which would create mechanisms for care, prevention and follow-up at both an individual and family level. Also, it is important to create strategies at the community level in order to work on prevention. We are working to reduce the risks that minors face when they cross the border illegally, and to create spaces and opportunities for development that they currently do not have, perhaps due to conditions that lie completely beyond their control. Fernando: I believe that the most important starting point for this work can come from academia, in terms of investigating the problem in order to fully understand all of its dimensions. From there, we can use the knowledge to create the mechanisms that Carlos was talking about, which have to do with comprehensive actions. On the regulatory side, we can then develop policies that establish the ideal mechanisms for dealing with the situation. In the medium term, we will need policies that address the conditions these children live in. In the long term, I believe that a binational approach will be essential. At some point, actions taken there and actions taken here need to be part of the same plan. The authorities on the American and Mexican sides will need to share information, and above all share responsibility for the prevention strategy. At some point, actions taken there and actions taken here need to be part of the same plan. I’m not only talking about an administrative process, but rather a human process that recognises the essential human condition of these kids instead of criminalising them, without knowing if they are doing it in order to cover basic needs that their state does not provide for them. Gabriella (oD): Is there anything else that you would like to share with our readers? Carlos: I think people need to understand that it is not necessary to criminalise these children. These kids really are victims of a social, economic and political context. In some way or another, they find themselves forced into these practices. I think that’s where we need to start from, leaving aside any prejudices and stereotypes in order to attend to their needs in an impartial way. 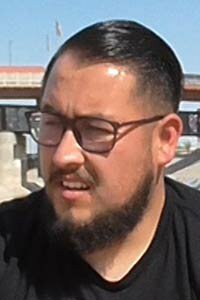 Fernando: I believe that the situation of the circuit children isn’t unique to Juarez. This problem is present in all of Mexico’s northern border cities. It is essential for the Mexican state to recognise the problem and to start developing strategies to address it. Institutional collaboration will be fundamental for understanding and bettering the conditions of these children. I think that academic investigation, state action on behalf of social welfare, and the actions of civil society groups can work together to keep the situation on the public agenda. Currently, the situation of the circuit children is not on the public agenda. Migration is, but the struggle these children face is not recognised. We have to include them, understand them, and start taking serious action to help them. Ana: It is also important to understand the human element in all of this. They are teenagers that are in the middle of a growth process, and that have their own goals and dreams. They want to do something with their lives, and in a way this work allows them to achieve something. Beyond their earnings, they’re using the work to meet their goal of self-realisation. That part is important, as well as recognising that they have expectations about what they want out of life.